In 1980, Richard “Barry” and Melanie Bowers purchased Promo Graphics, a screen printing company that produced retail sign kits for 65 Eisner Foods (Jewel) stores. The couple worked as a team to build a solid foundation based on Barry’s creativity, pragmatism and thrift combined with Melanie’s warmth and kindness. In the early days, the company focused on producing monthly retail sign packages for grocery, convenience and video chain stores. In order to better represent their business focus, Barry and Melanie changed the name of their company to Chain Store Graphics. The Bowers’ sons, David and Scott, worked with their parents from the start of this venture. As teenagers, David operated screen printing and offset presses and Scott worked in the bindery department. Their parents made sure the sons learned not only the mechanics of the business, but also the value of quality customer service while keeping the company efficient and financially strong. David and Scott are now president and vice president of the company. The following timeline highlights benchmark events in the life of the company. Throughout the years, the company that is now called DynaGraphics Incorporated has retained its dedication to customer satisfaction, ethical business practices and progressive service. 1980 Promo Graphics offers screen printed signage to grocery, convenience and video chain stores. 1984 Company name change to Chain Store Graphics. 1988 Fast Impressions division added to company with the purchase of state-of-the-art quick printing equipment that allowed faster turnaround and lower cost. 1990 Addition of vinyl sign business allows company to offer small quantity signs and banners; window, door, truck and trailer graphics; and backlighted signs. 2001 Name change to DynaGraphics/Fast Impressions reflects expanded product and service offering. 2003 Move to current climate-controlled 21,000 square foot facility on five acres allows for further expansion. 2005 Addition of Vutek and HP Large format printers allows for short-run full-color posters, displays, vehicle wraps, and full-color signage. 2011 Remodel of customer service and office areas and reset of plant floor plan to make room for upcoming process changes and new equipment. 2012 Addition of HP Latex Large format printers for superior resolution and high quality outdoor graphics and vehicle wraps. 2013 Addition of Zund G3 cutter for shape cutting everything from paper to aluminum. Barry and Melanie were held in high esteem by their employees as well as their customers. 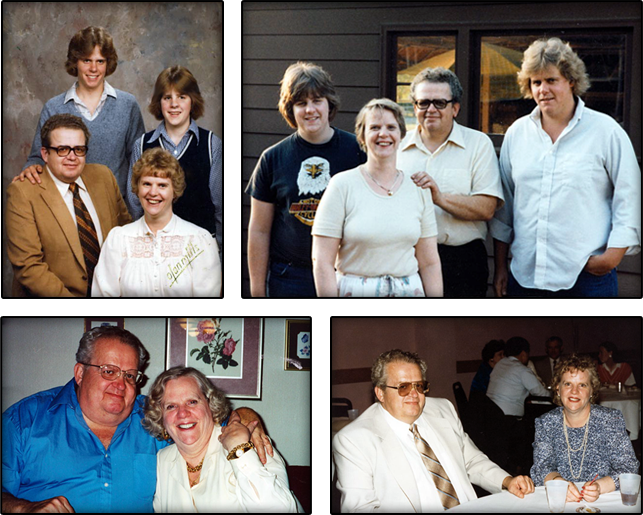 Under their leadership, the foundation, success and core values that are still enjoyed at DynaGraphics were formed. Married for 40 years, and in business together for much of that time, Barry and Melanie enjoyed one another, their children and grandchildren, and many friends throughout their lifetime. Dave and Scott are very thankful for the time we had with our parents. We miss them.